The GCL Rays kicked off the 2010 season by going 3-3 on the week. 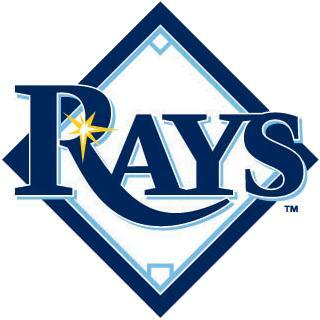 The Rays are tied for second place in the division, 2 games back from the leader. The roster continues to grow as more draft picks are signed and players are being sent down for rehab assignments. Currently the Rays have three players on the roster who are on a rehab assignment. Transactions: Tyree Hayes added to roster for rehab assignment (6/23/10). Shawn O’Malley promoted to Charlotte (6/24/10). Virgil Vasquez added to roster for rehab assignment (6/24/10). Ryan Fleckenstein added to roster (6/25/10). Marcos Torres added to roster (6/25/10). Peter Woodworth added to roster (6/25/10). Justin Hall added to roster (6/26/10). Daniel Johnson added to roster (6/26/10). The Week Ahead: 6/27/10: Day Off. 6/28/10: vs GCL Red Sox (5-1). 6/29/10: at GCL Red Sox (5-1). 6/30/10: vs GCL Twins (1-5). 7/1/10: at GCL Twins (1-5). 7/2/10: at GCL Orioles (3-5). 7/3/10 vs GCL Orioles (3-5).